I used to be a more active member here until I began school again for landscape architecture a few years ago. Since, It's really been an eye opener to another realm of landscape design. It'd be fun to hear what you all think of these drawings and this type of work..
Nick, these drawings are absolutely beautiful. 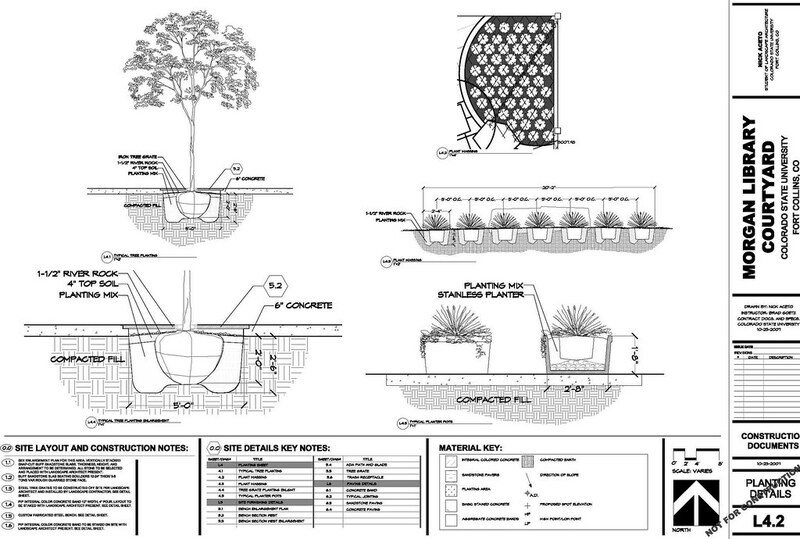 I've forgotten that Landscape Architecture is so much more than residential design/build. Your concepts are very intriguing and the presentation is inspiring. 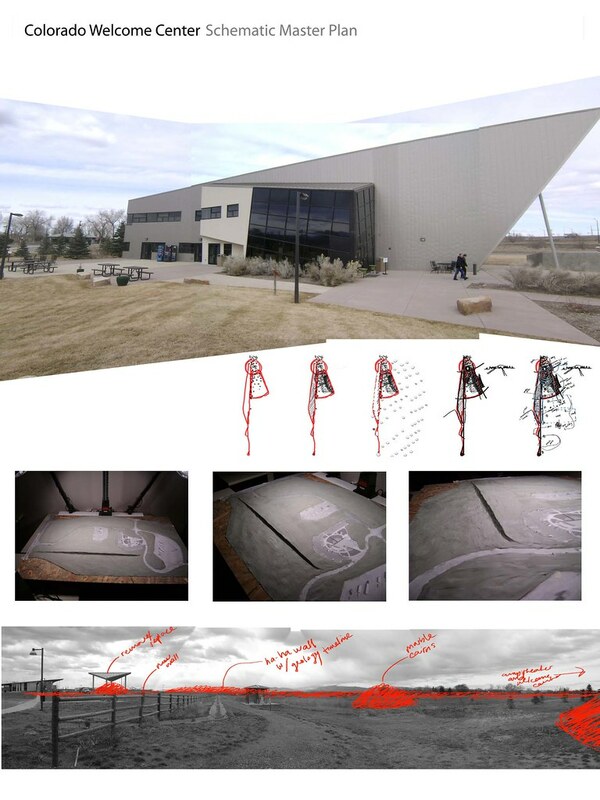 Is this a real project that will be built or is it just for studio purposes? What are the ideas behind the detailed drawings? How did you import the drawing onto the site? What did you use to create the drawings and the renderings? Great work Nick and please show us more. "Make your home, your vacation home!" I decided to share the drawings here because I remember (see post below circa 2005) debating whether or not to attend school for landscape architecture. I remember alot of people telling me at the time that I had nothing much else to learn and thinking to myself that residential design-build was the end-all product and sum of landscape design. I WAS WRONG! Many, many people enter landscape arch. programs aech year with the expectation of learning how to draw like Mike Lin and design pools and golf courses. This is about as far from the truth as can be. The program has been up to this point so much about the psychological and physical concepts of art and design as much as architecture, engineering, science, and horticulture, yes, as many would suspect here horticulture probably comes last believe it or not. The images above are actually two separate projects for school. The top two are that look like colored pencil drawings are actually 100% digital and are created from a combination of imagery, 3D modeling, and "digital painting." 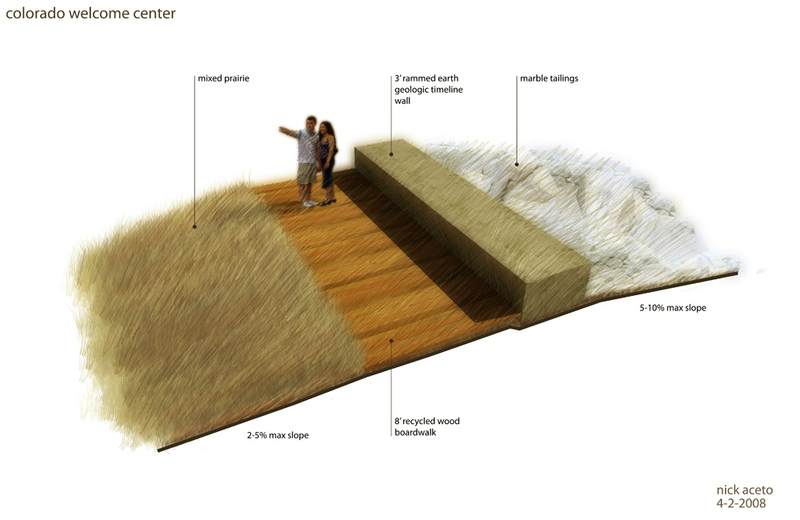 This project is for a design competition for the Northern Colorado Welcome Center landscape in Fort Collins. The main concept behind my scheme is to create one very simple design move, an intervention (good design often solves a problem or makes something significantly better) and a minimum number of supporting moves. 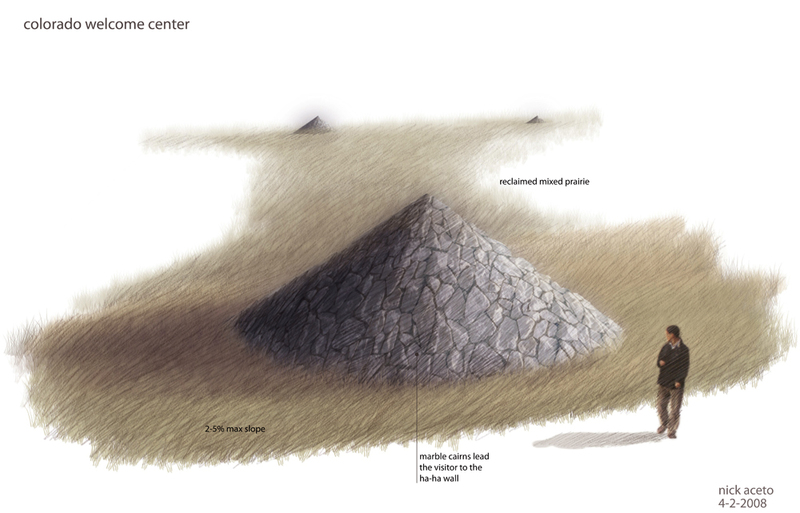 The top two sketches represent very small proposed site details. I will and probably should at this point share the preliminary concept plans and model images to give anyone interested a better idea. The second aerial drawing was done mostly in sketchup and photoshop for a urban planning project I helped vision at an office I intern at in Denver. This may help people understand that landscape architects can do alot more than design the spaces between the buildings. 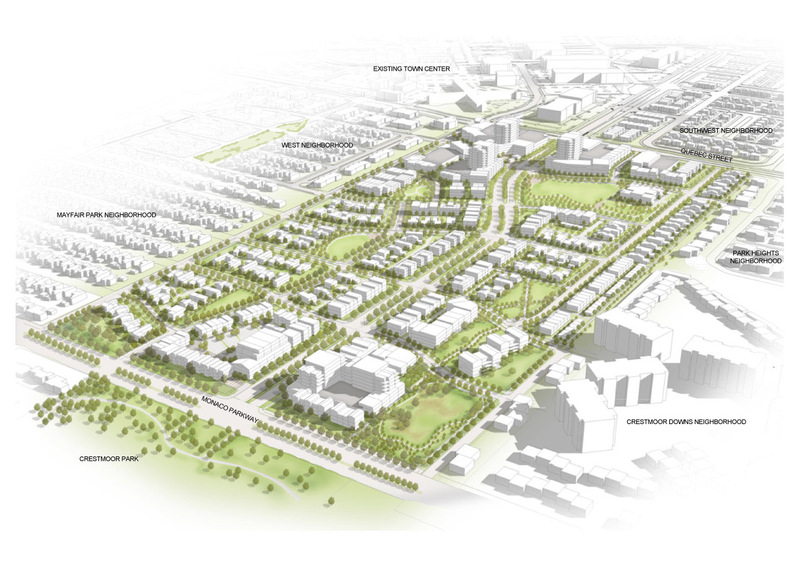 We, the landscape architects, proposed building, road, and landscape development before a single engineer or architect even had a good look at the project. Pretty exciting and yet common stuff. I'll try to put some more stuff up, including some residential design I'm doing for cash on the side while I'm in school. Thanks for the kind words, hopefully we can get a little discussion goin here! Computer rendering has come a long way. One of the things that is always hard to know if you are not working with it is how much of it is due to the skill and training of the person doing the rendering and how much is actually done by the computer. People see these and often believe that the computer is doing most of the work without the understanding that it is all input driven. Colorado State has long been known for putting out students with very high hand graphic abilities. That means their faculty is very strict. It is also my understanding, having gone to school with someone who told me he was cut from that program, that they don't accept just anyone and they give you the boot if you are not up to a pretty high standard. Nick is well trained and is bringing some personal abilities to the table as well. These programs are still a lot like a box of colored pencils and a rack of markers in that without the right training with the software, the right training in graphic techniques, and a certain amount of individual talent they don't do you much good. It is pretty clear that Nick is making darn good use of these tools. One knock that is often leveled at cad drawings is that they are stiff and sterile. Again, that has more to do with user input than the tool. 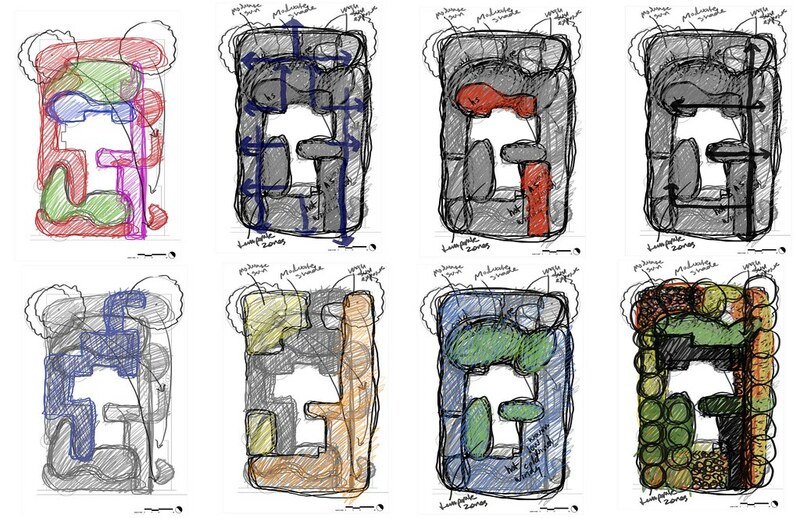 A lot of people who do not draw well and a lot of people without knowledge of drawing in general are quick to use cad thinking that it will make up for all of that. We all see a lot of cad drawings done by people who fit those categories making it easy to conclude that cad was responsible for the lack of interest in the drawings. It also took a while for people to adjust to the idea that as long as you apply the same techniques such as using lineweight, stipples, and hatching, it really is no different. The line drawings above are exactly like any high quality hand drawings that you will find in landscape graphics books from twenty and thirty years ago. The only major difference in appearance is text, although you can use fonts that imitate hand lettering. These look good for the exact same reasons that the similar hand drawings looked good - the person drawing them knew how to draw. Most professionals have come around to applying the age old hand drawing techniques to cad and it is often difficult to know if it is cad or hand work. Some programs now set default lineweights for you in order to help novice users get a better looking drawing right of the bat (that what sells Dynascape in my opinion). Certainly, software developers and graphics people are putting together more detailed components that can be inserted into drawings. 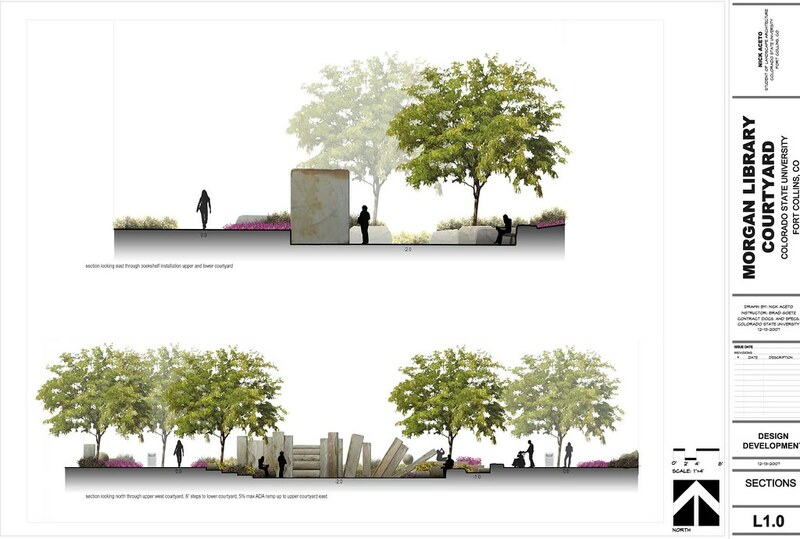 The trees and people in the renderings above look to be such. The nice thing is that you can copy, rescale, render on multiple layers, and reuse in other drawings whether you buy them or make them yourself. One thing that I have seen more and more of is the "borrowing" of standard cad details. More cad drawings are being passed back and forth between engineers, surveyors, architects, landscape architects, and even construction companies everyday. A lot of people are "recycling" details by simply copying and pasting. I know that I have seen a planting detail, drawn by an engineer who I used to work for, used by at least three other companies. Former employees took them and reused them. I think this will become a complicated and common legal issue that will have to be dealt with. Its pretty tough to keep from happening at this point - like music downloads. He also brings out a good point concerning the true mindset of a good architect in regards to planning the whole project such as roads, buildings, etc.. Many people will almost assume those details will be left to a developer or engineer but I am all for letting the LA take control of the entire outside world. Many times I'm faced with some difficult challenges on our projects because we were called too late and my driveway is situated wrong, the pool is way too close to the house, the walkways are generic, etc... Simple things that could have been remedied if an overall vision was thought about either before the building started or at least in conjunction with the building. And not just any vision. 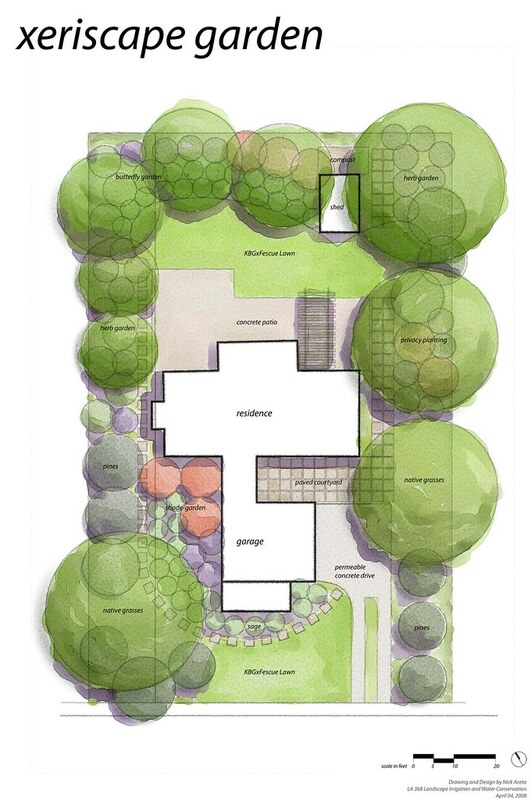 A vision that will actually enhance the total landscape on the property. Nice artwork and good luck. Thanks as usual for the very kind comments. For what it's worth-I use a Wacom 6x8" Intuous graphics tablet when rendering on the computer. After having used the tablet for over 2 years now, I have become accustomed to the feel enough to do almost everything on the computer, working mostly on a 15 inch laptop. 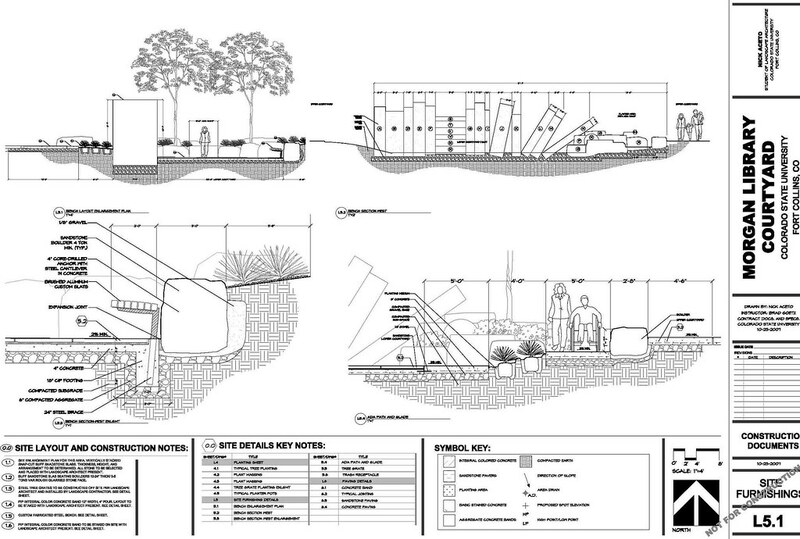 The concept sketches on the welcome center board above were sketched in photoshop over an aerial photo, then ditched the aerial...I have some other kind of neat diagrams for that residential plan graphic I could show. I think it's a great time to be a landscape architect and to be involved in the associated professions, hopefully more will join the topic.. I realise it has been a few years since you posted this, but I have only just come across it. Thank you so much for sharing some of your work; it all looks amazing. I am planning on studying Landscape Architecture here in New Zealand, next year, and am always on the hunt for other people's work that give me more enthusiasm to go back to school. Your work has certainly done this! Do you have your own website where I can see more of your work? Other than reference material provided by your faculty, have you come across other books, publications, online references that helped you develop your graphic presentation skills? I need to put together a portfolio in order to gain entrance to the BLA program and would like to spend 2011 working on my presentation skills. I currently use Adobe CS5 (Photoshop and Illustrator), Sketchup and Bonzai3d, but I haven't yet started to create mixed-media outputs. These are nice landscape design.